Day 3 of this unplanned impromptu journey into the Eastern Sierras thing was a tough choice. While I was happy with what I got in Yosemite’s Tuolumne Meadows yesterday, now that I knew the lay of the land a bit better, it couldn’t hurt to head back again, which I would have been absolutely HAPPY to do. 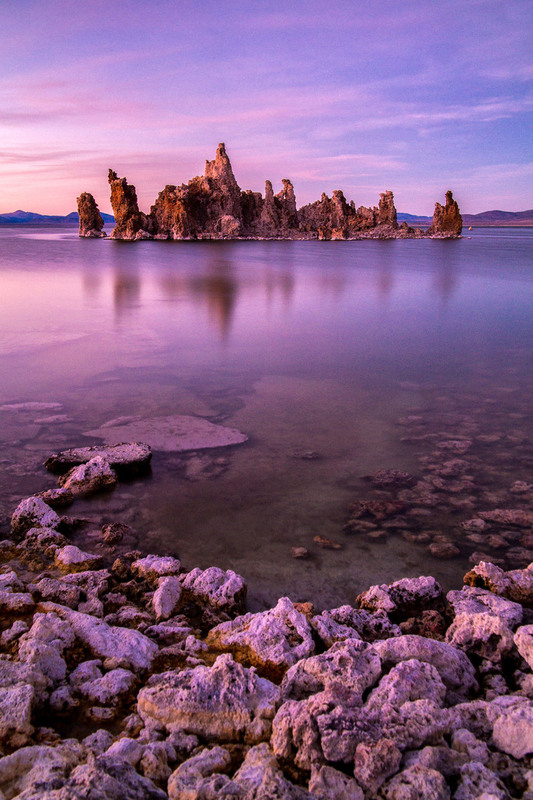 However, I was also dangerously close to Mono Lake, California, another one on the bucket list, so I had to decide whether to turn this into 2 days of Tuolumne or 1 day of each, Tuolumne and Mono Lake, both of which, in my opinion, would have been WIN! 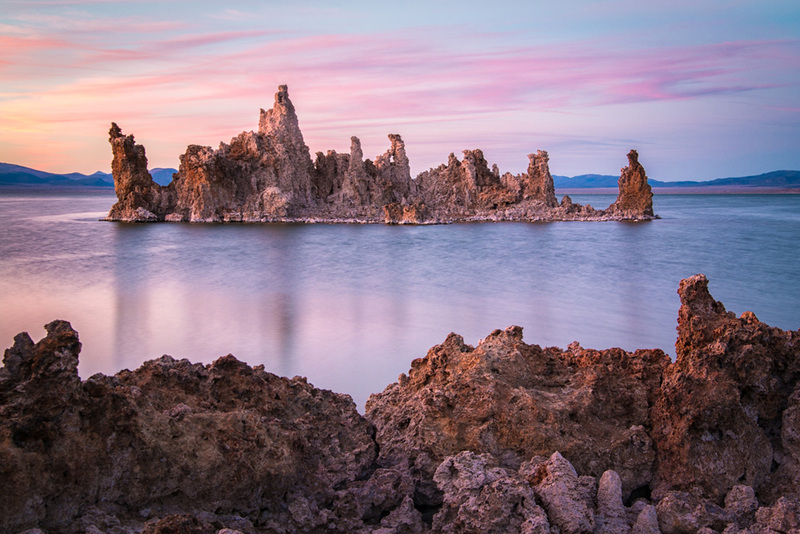 I know, I know, tough decisions… But ultimately, the side of me that loves new things chose Mono Lake, figuring that, since the job got botched, I’d most likely be back up here again soon, so I’ll get another shot (major pun intended). Once again, I left the motel in Mammoth Lakes around 4. 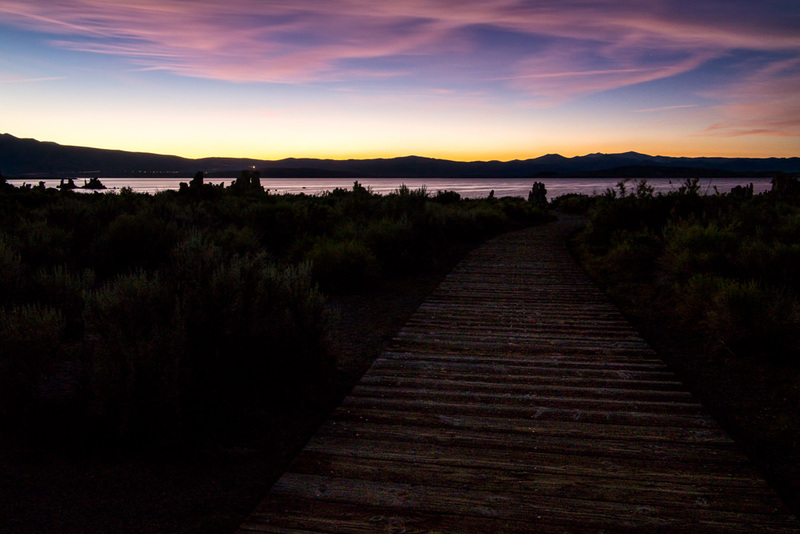 Seeing as how Mono Lake was only about 30 minutes from Mammoth, I figured I’d have a solid 2 hours to get the lay of the land, find my shot, set up, and hang out. 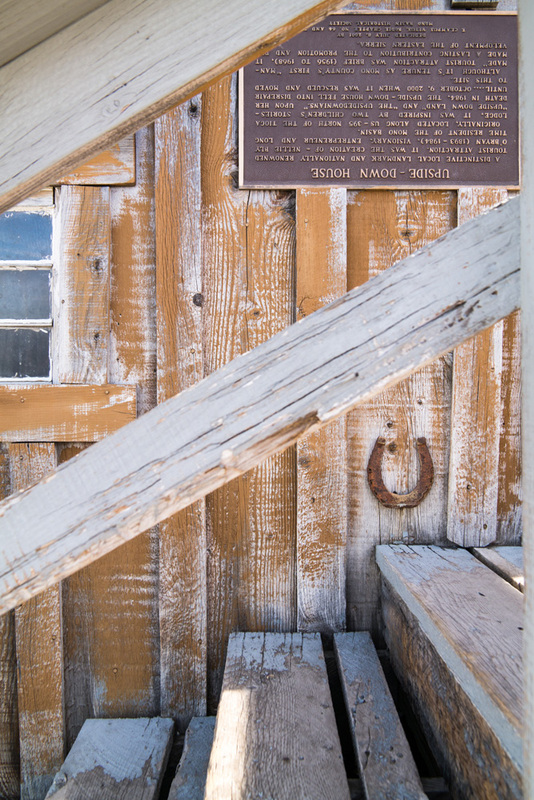 I drove through Lee Vining, stopped at the visitor center to find out how to get to the Tufas, the landmark landscape of the lake, made a mini-detour to the ‘Upside Down House,’ (don’t ask…here’s the photo and the sign, which I haven’t even read…kinda don’t want to ruin the desert rat mystique of this one…), and drove the 10 or so miles to the section of the lakeside I was going to call home for the next several hours. I parked in the lot, and started walking down the path towards the shore, and the closer I got, the weirder everything started to get. There was a moment there where the wooden footpath ended, and the sand began, and it literally seemed like that one step took you from Earth, to Mars. These geological formations were the weirdest fricking things I’ve ever seen with my own eyes. I thought the hoodoos in last years trip to Bryce Canyon were from another planet, but these things just took things to a whole ‘nother galaxy. Apparently what they are are dried up hot springs. The calcium-rich springs come out of the ground, pushing through the limestone, mixes with calcium carbonate, creating what are essentially, underwater hot spring volcanoes that eventually calcify and leave these…things…behind. 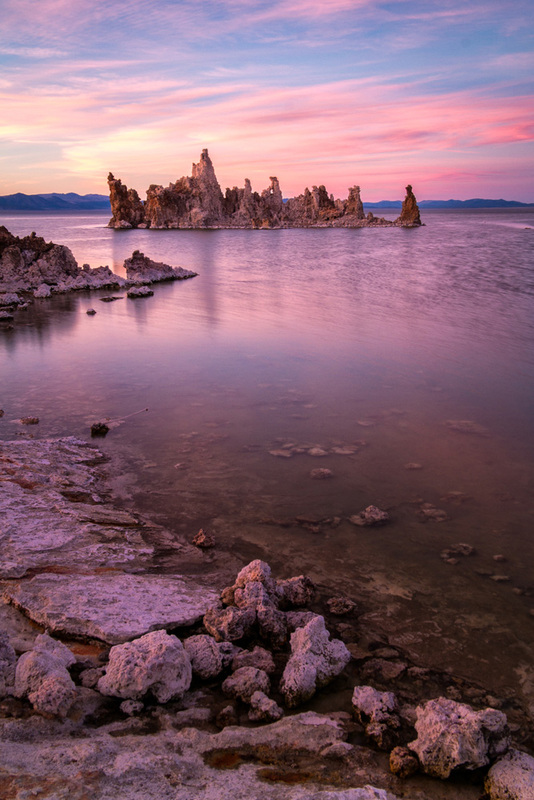 While they’re naturally created over millennia, and happen underwater, the water level at Mono Lake has dropped so much since water diversions began in 1941, that it has exposed the wonders of the tufas for the world to see. And those, my friends are what grace the top of this post and the gallery below. All of those images were also shot on a Samsung NX30 using a Samsung 18-200mm lens. I hope you enjoyed my posts from this random trip at least a fraction of how much I enjoyed making them.